Article 26: Everyone has the right to an education, elementary schools should be free and compulsory. Contributed from the Southampton City group. Article 27: Everyone has the right to freely participate in the cultural life of the community. Team effort this by Fay, Janet, Sharon, Sue and Gretel, members of the Romsey group. 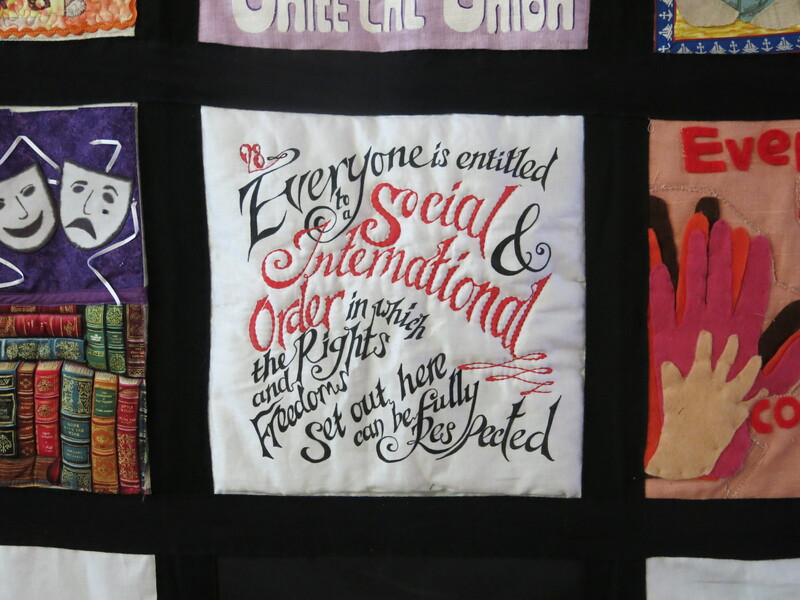 Article 28: Everyone is entitled to a social and international order in which the rights and freedoms set out here can be fully respected. The third panel by our Regional Representative, Caroline Butler. 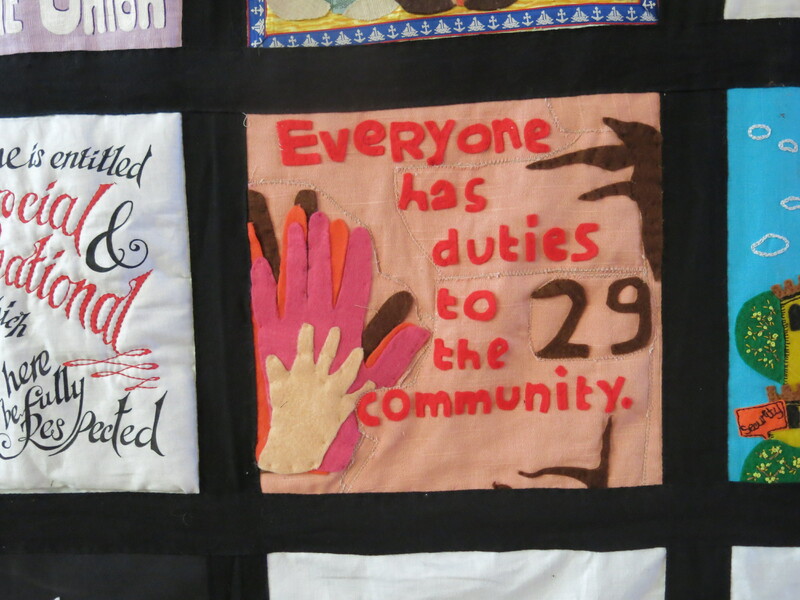 Article 29: Everyone has duties to the community. 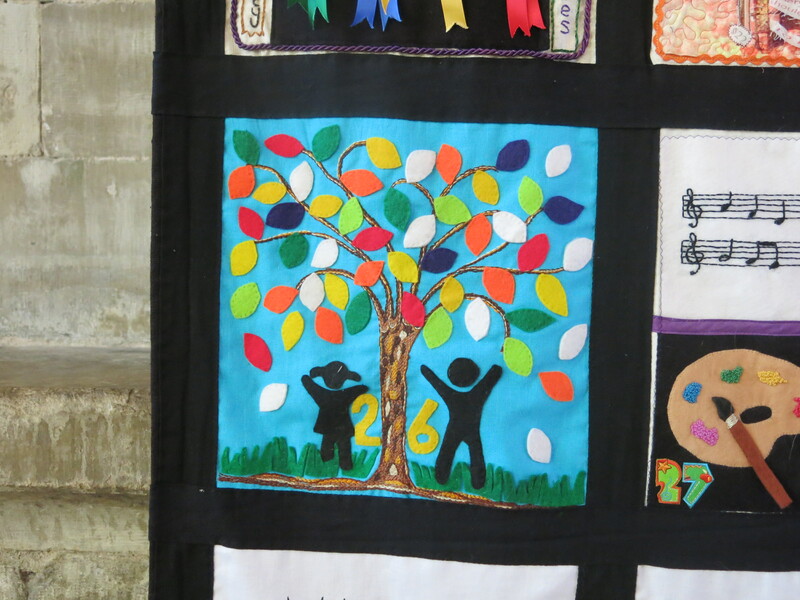 This is the second panel in the tapestry contributed by a refugee group, this time GARAS, the Gloucester Action for Refugees and Asylum Seekers. 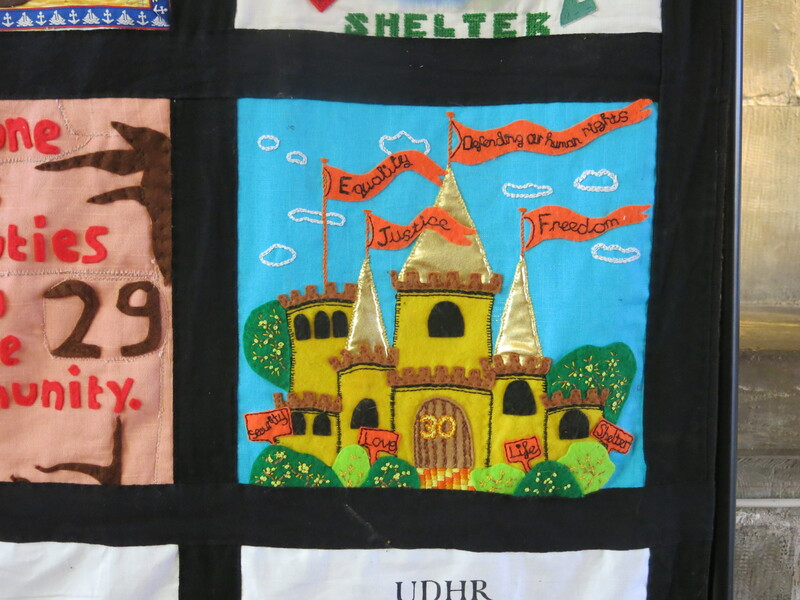 GARAS offers support to those seeking asylum in Gloucestershire; welcoming them when they arrive; advocating for them in their daily struggles; supporting them if they face being sent back, as well as helping them adjust to their long term future if they are recognised as refugees. Article 30: No one has the right to act in such a way as to destroy the rights and freedoms set in in this declaration. 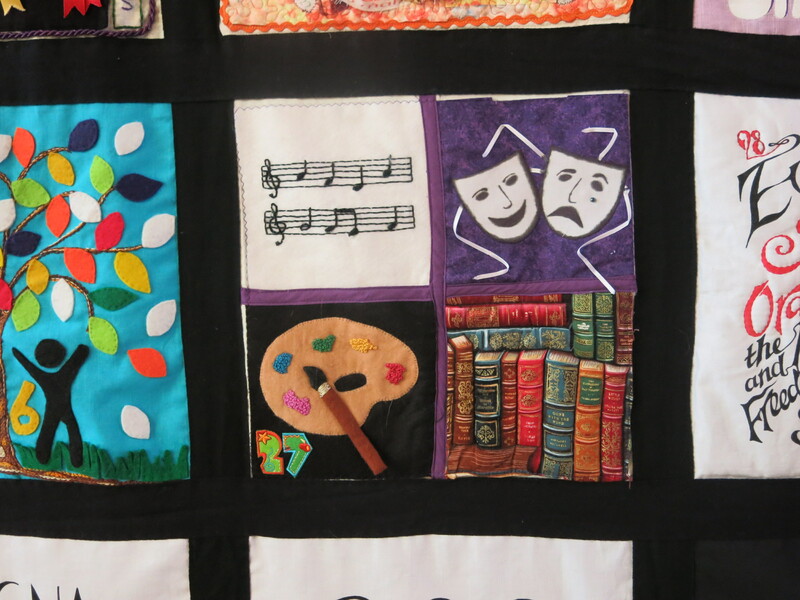 The fourth panel from the Southampton City group. Thank you for all the work emailing them out it really is worth publicising this art work.